On the Ratzlaff Ranch, in the rolling hills of Western Sonoma County, the boughs of the old apple trees hang heavy with ripening fruit in the late summer and autumn. At the peak of their flavorful goodness the crisp apples are taken into our big barn, hand-sorted, and in small batches pressed into sweet cider, which is fresh, pure apple juice with nothing added, nothing needed. The amber beverage is quick-chilled, bottled, and plunged into a freezer at ten degrees below zero, where the delicate tree-fresh flavor of the fragrant apples is captured for you to savor. Ken’s great-granddad bought the old home place back in the early days, and the family has carefully tended the Gravensteins, Goldens, Reds, and Romes ever since. The sturdy old trees have outlived the sturdy folks who planted them, but there on the ranch Ken still feels close to his great-granddad, his granddad, and his dad, especially at pickin’ time. For a quarter-century Ken and Marlene have pressed each year’s harvest to make their famous Apple-A-Day apple juice. It is the leading winner of Gold Medals at the Sonoma County Harvest Fair. In addition, it has won more “Best of Show” awards than any other apple juice. If you stop by the ranch today, you’re likely to meet the new owner Mike Zarras. Ken has entrusted Mike to carry on his leadership with the same energy and care that has made the company a success for generations. Mike is propelling the company forward with fresh ideas to give every customer a satisfying experience. On a hot afternoon or a balmy evening trickle the cider over cracked ice in a tall glass. For a lighter punch add a little water or your favorite carbonated drink. If you make the mistake of freezing “cider-sickles” for the kids, you’ll soon have to freeze more! A half-frozen “cider-slush” will cool the hottest summer day! On a chilly winter night or at a holiday party add a dash of cinnamon and clover and server the cider in a big mug, steaming hot. Sippin’ just doesn’t get any better! Crunchiest Apples You’ve Ever Sipped! Is it Fresh Apple Juice, or is it Sweet Cider? Yes! Red/green medium sized apples with a sweet-sharp scent, good for eating fresh and cooking. Gravensteins have a sweet-sharp flavor. Yellow-gold medium sized apples with a honeyed scent, sweeter than other varieties. They are perfect for eating fresh or for use in cooking or juicing. Apple-A-Day’s award-winning cider knows no compromises. 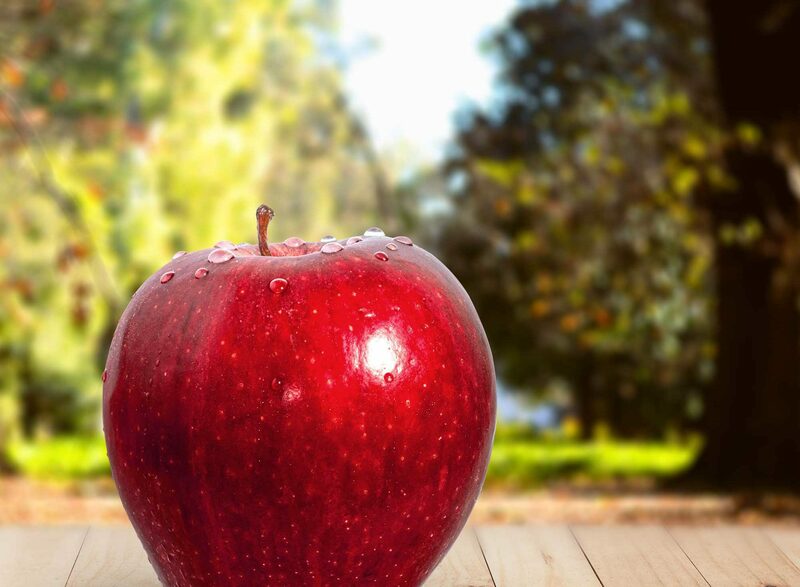 Our apples are ethically grown and processed from farm to glass. Every bottle is 100% pure apple juice, with nothing added to distract from the fresh sweetness of the apple. The result is a rich burst of flavor with homegrown sensibility. Apple-A-Day apple juice is the leading winner of Gold Medals at the Sonoma County Harvest Fair and has won more “Best of Show” awards than any other apple juice. Our juice is processed using the cold-press method and UV treatment. Cold-pressed juice uses a hydraulic press to squeeze every drop of juice from the apple. Because this doesn’t produce as much heat as other methods that have moving parts (such as centrifugal or single auger juicers), the apples keep more of their fresh nutrients intact. High-pressure processing and ultraviolet (UV) light cleansing is simple and environmentally friendly. Bring your family and friends to pick juicy apples at Apple-A-Day ranch! U-Pick season is typically September through early December, depending on the availability of ripe apples. Check our Facebook for announcements regards exact dates, or contact us directly. Fresh cider is available for purchase during U-Pick. We provide picnic tables for lunches and ample parking space. Outdoor restrooms are on site. Please dress appropriately for farmyard walking. Please pick only what you are willing to buy and take home with you. Picking is fun, but be courteous and don’t leave picked apples behind. To keep this experience going we can’t afford to be wasteful. Thank you for your support!